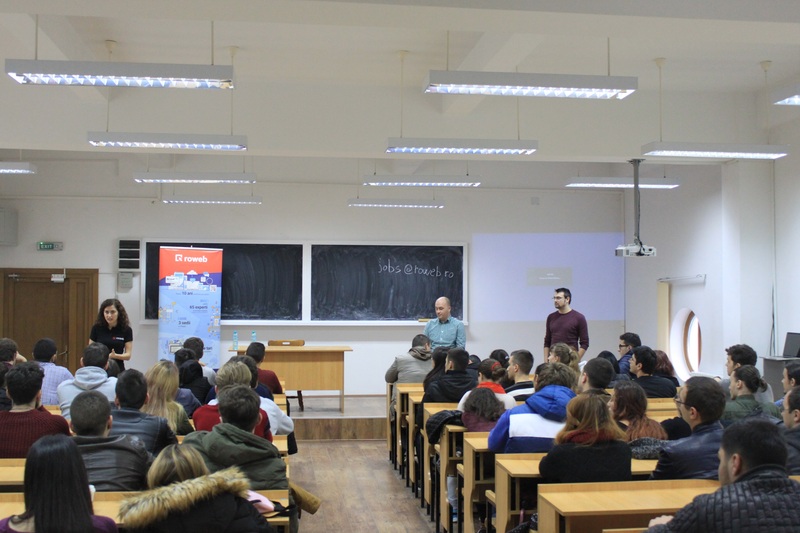 This entry was posted in Miscellaneous on November 28, 2016 . 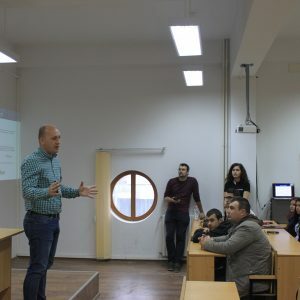 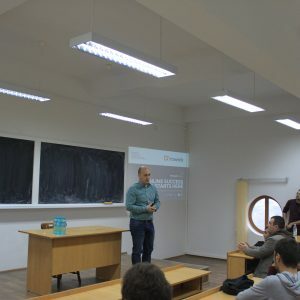 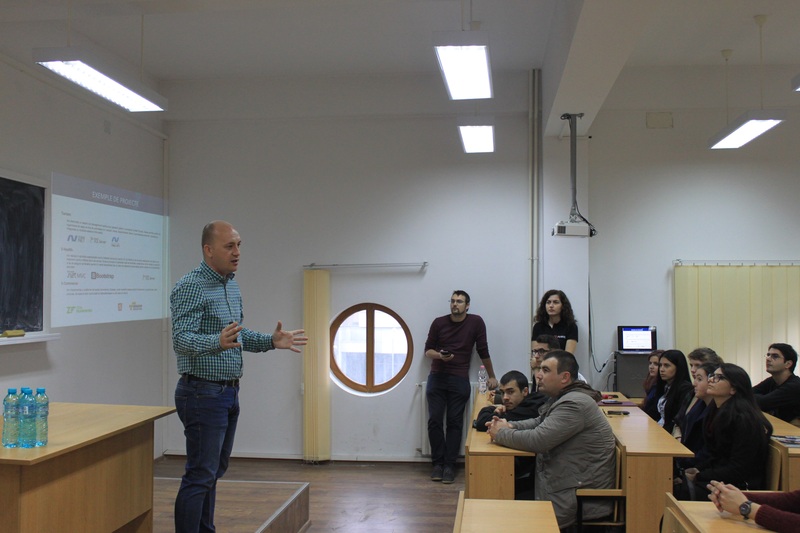 We teamed up with the Computer Science Department of the University of Craiova for Roweb Connect Day, an event meant to engage students interested in starting a career in software development. 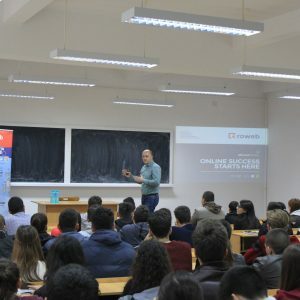 We were happy to have 90 attendees, most of whom were eager to find out more about the opportunity to start an internship and hopefully join our team in Craiova as full-time employees. 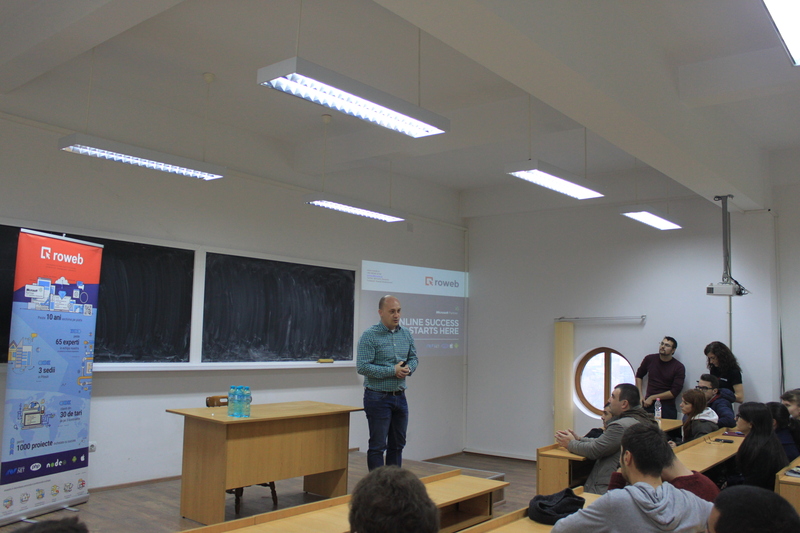 Some of the students had already sent us their resume, and many already had a solid base of Java, PHP and Python knowledge. 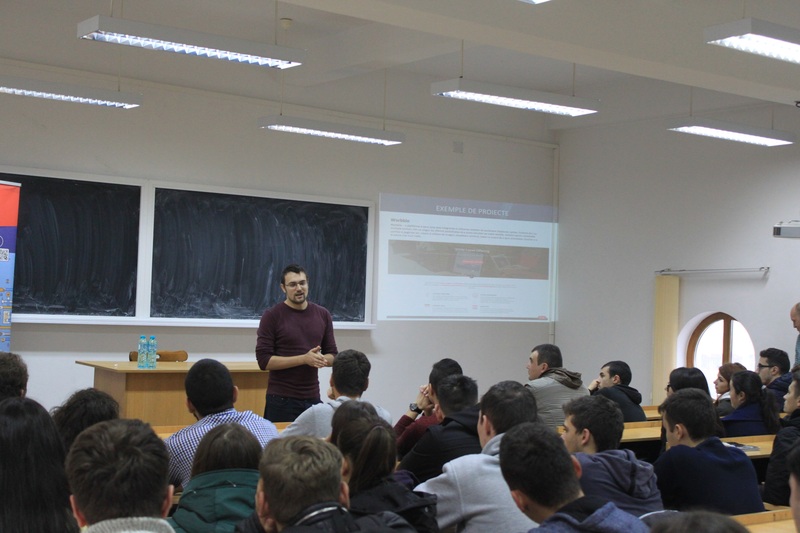 Others were very enthusiastic about mobile application development, especially Android apps. 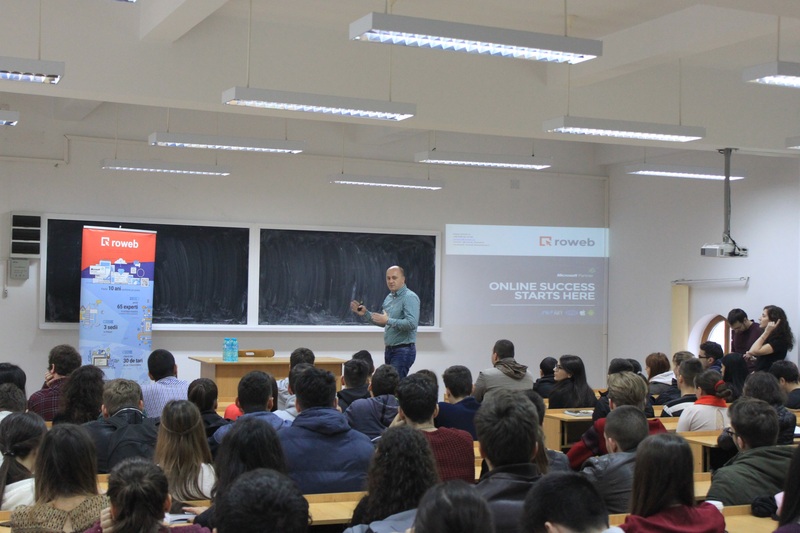 Most of the questions that we were asked by first and second year students were about the specific knowledge and skills that they would need in order to be eligible for a job at Roweb, focusing on the technologies that they were already passionate about: mostly mobile, PHP and testing. 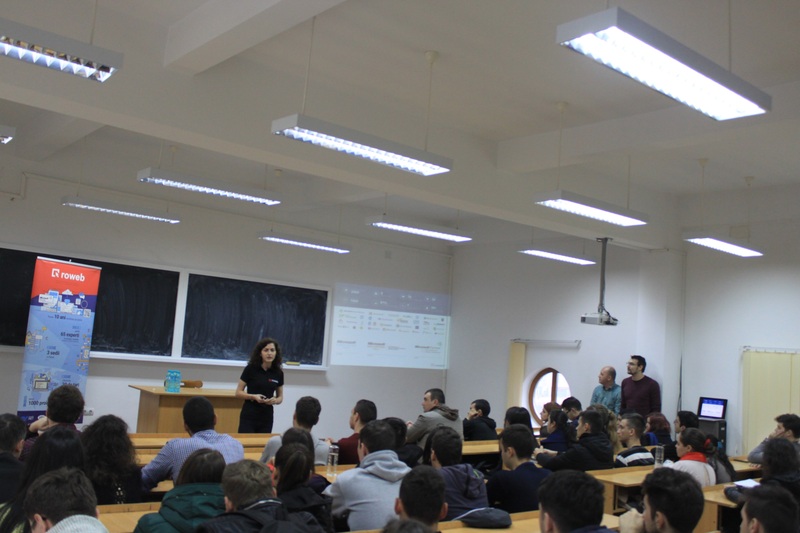 We were very happy to answer their questions and very grateful for the enthusiasm that they showed for our presentation and we’re looking forward for new ways to support young programmers in Craiova and collaborate with the University!